There are two things that will get tomatoes thrown at you when presenting How to Sell Insurance at a conference. The first is telling people that you don’t need to ask for a dec page before quoting a policy. That is just the opening act to when I tell them that they shouldn’t just email out the quote (without talking to the client first). I’ve heard some decent arguments against the first point. Some will argue that if the prospect isn’t willing to send a dec page it doesn’t show a commitment to the process. If you are trying to qualify prospects this way AND you have enough leads where this is a decent filter, I can get on board with this. If you are scrambling for leads or are only using this because you want to offer “apples to apples” comparisons, I’ll stand my ground. Even for agents that want to see what they have so they can offer both an “apples to apples” as well as a recommended increase, I’d argue that their current coverage does not matter that much and that we are simply feeding into the “price first” thought process that GEICO and Progressive push so hard. In my (humble) opinion, while the current coverage/pricing may have some effect on how we present our quote, it should not be important enough for us to require a dec page to quote. A short and simple discussion on what they have today should give us enough information to determine how we will proceed. However, this is a debate for another blog! On the other hand, I’ve never heard a solid argument for simply emailing out quotes as a standard practice. I recognize that there are some situations where sending out the quote may still result in a sale. If you have a solid referral from someone and are 100% confident that they are going to buy or if you have a 90% close rate with a certain referral source, this may be an option. However, for the vast majority of leads, a request to receive a quote via email is basically them saying that they only care about price. They aren’t going to read the body of the email where you explain the different coverages. They will open the attachment, but not to review the coverages, limits, and endorsements. They simply scroll down to the bottom right hand corner and look at the big bolded number at the bottom of the document. Or with a lot of companies, they don’t even have to do that because the premium is now put front and center at the top of the document. If you are going to take this path, you may as well just put the premium in the subject line and shoot it off. When we email out the quote we are forfeiting three major items. First and foremost is our ability to explain the coverages. A close second is that it is very hard to discuss/present potential options to the client. Finally, we remove all aspects of selling techniques from the process. The first item is fairly obvious. As stated earlier, there are a few people that will read the body of an email, but insurance isn’t as cut and dry as the general public makes it out to be. What if your policy has 250/500 limits when the current policy has 100/300. That is basically doubling their coverage. Explaining that in person or over the phone is vital to overcome a small premium change. What if your policy includes Guaranteed Replacement Cost or a higher Business Interruption coverage? Can you really explain that over email? More importantly, will the prospect read it? The most important piece (and the actual point of this blog) is being able to present the quote and explain the pricing in a way that will increase coverage. 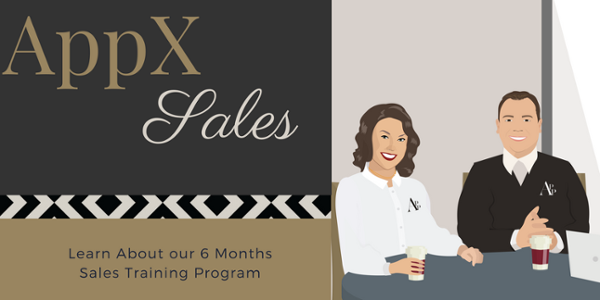 When we work with clients on our AppX Sales program, we show them how to present options for the client that are in their best interest. People don’t want to have to make decisions in the dark, so simply getting an email forces them to make uninformed decisions. By presenting the quote to them over the phone or in person, we can present them with different options. Sometimes this will be two different carriers. You may have a carrier with Guaranteed Replacement Cost or Blanket Coverage for the buildings versus carriers that don’t have these coverages. Or you may just want to present the difference between 300CSL and 500CSL or show the difference in savings between a $500 and $1,000 deductible. We recommend that you present 3 different options when presenting the quote. This allows the prospect to make informed decisions without getting overwhelmed or simply choosing not to participate in the discussion. There are a lot of different areas where we can provide options. We want to make sure that they agree with everything we present but we also want to identify specific areas where they are making “either/or” decisions on coverage. The last aspect is also one where I get a lot of push back. Some people want to simply present the quote and let the prospect make a decision. I think to create a brighter future for the independent insurance agency system, we need to be better than the other participants in our industry. Whether it is a direct writer, captive agent, or a new online agency, I think the independent insurance agency is the best place for someone to get the right coverage for them which includes the best pricing. We are able to provide options for markets and coverage and show different limits by carrier. We also need to be able to sell ourselves to the client by explaining why they should be doing business with us. This is not about selling something that the person/business doesn’t need but about using our sales skills to make sure the client chooses to protect themselves properly. It is about creating a win/win scenario where we make the sale AND provide the client with the best protection for them. So, be sure to put yourself in the best position to close the sale and provide your new client with the coverage they need by presenting their options personally and not just shooting off your quote in an email! As a final disclaimer, I recognize that there are some clients that do want to see the quote for themselves before making a final decision. After we have presented the quote to them, emailing them a copy for their review can help to close a deal. We just need to make sure that we have presented the options before hitting that send button. Are You Conducting An Insurance Interrogation?